Are you on the fence about getting your B.A. in Business? Why should you add even more debt to what you already have, and take even more time to pursue your goals when you could be working right now, earning money and building your resume? 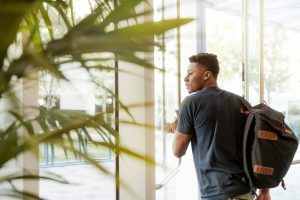 The truth is that getting a bachelor’s in business is less about what you learn while pursuing it and more about what opportunities it opens up for you down the line. Here are three reasons why it’s worth pursuing your bachelors in business. Did you know that 60% of resumes sent to the hiring office of the top 200 companies in the United States go directly to the trash bin? It’s true. 60% of resumes are glanced at and then tossed. The reason for this is that the hiring managers look at two sections first and foremost: education and experience. If they don’t immediately see something that shows that you are worth their time, into the shredder it goes. There’s a lot of competition out there! Having a B.A. in business is a great way to catch their eye and send your resume to the secondary pile. Here’s another fact: having a degree from a school that is recognized, has weight and respectability is a great way to be part of the 15% that get shortlisted. FNU is the kind of school that can get you into that 15%, but we’ll talk more about that later. For now, just know that having a B.A. in business is at the top of the list those “Best 200” hiring managers consistently say gets them to past their filter. So to the point: it’s a necessity. We all know about the typical college LibArts student who ended up with their LibArts degree because they couldn’t decide what they wanted to do in life. They bounced from one career choice to another, from one program to another for several semesters before they just gave up. In the educational world, this is known as Cowboy/Astronaut/Policeman syndrome. 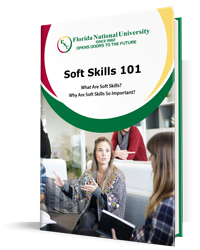 When you combine a degree in business with a minor, or even a secondary bachelor’s degree in your specific career path it shows that your mind is settled and sets you on a clear business path. Whether it’s your own business or working for a company. Successful entrepreneurs have often started off working for someone else. They credit their “learning the ropes” of how a company works, best practices and learning from the failures and successes of others. They then have the know-how to take the step to confidently go out into business on their own. But the trick is getting a good position where you will get that insider overview. With a B.A. in business administration, possible employers see that you are genuinely interested in that work, that you know who you are and what you want out of life. It shows that you have made what is perhaps the hardest decision an adult can make: what to do with your life and are ready to go with that choice for the long haul. This is the kind of decisive commitment that leading employers want from their team members. A bachelor’s in business puts you above those who have a LibArts degree or no degree at all. While it is true that you could pursue your M.B.A. with any Bachelors degree, having a Business Administration B.A. is the best foundation for you to build upon. If you are looking to pursue your M.B.A. in the future (and you should by the way), then having the solid foundation of a Business B.A. under your belt puts you in the best position to progress faster and easier, and increases your chances of success. Note: some schools will not accept a candidate into their M.B.A. program unless they possess a B.A. first, so without it, you are limiting your chances of getting into the schools that get noticed on resumes. Keep your options open! At FNU we have been helping students open door to a better future since 1982. Florida National University, is one of those schools that hiring managers like to see on a resume. We are a regionally-accredited school offering a wide variety of programs that help prepare today’s students for the challenges and adventures of the real world. Our Business B.A. is a full, 120 credit program that will prepare you for not only entry-level executive positions in companies, but also opportunities that an associates degree just won’t make available to you. A B.A. from FNU prepares you to be a leader and gives you both the skills and the confidence to enable effective policies, motivate team members, build business relationships and make a real difference to an organization. This program is available online, so you can learn while you earn. There is no better way to make the move from the mailroom to the executive washroom than to earn your B.A. at FNU while still working at your job. To get started, please click here to send us a message using our online contact form. You call also call us at (305) 821-3333. Below you will also find some useful links to help make your decision to join the Conquistadores Family easier, including our financial aid page. We have unique scholarships for FNU students specifically, as well as information on scholarships open to the general public for use at any university, as well as armed forces and public servants. If you need any further assistance or information, we would be happy to help you, just give us a call at either of our two campuses located in Miami and Hialeah. We look forward to having you as a student and are excited for the journey that you are about to embark on toward the future you deserve.